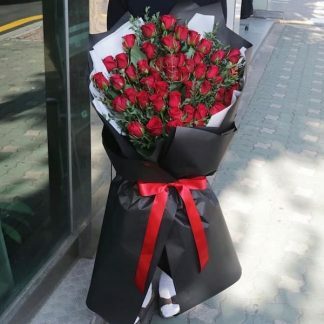 This is Flower Gift Korea’s Flower Bouquet of the Day. 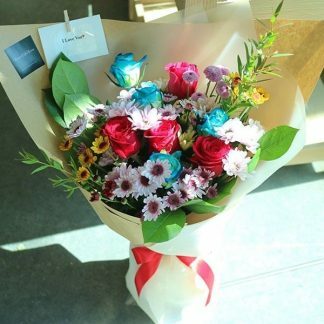 The flower gift bouquet will be designed according to the seasons best flowers and colors. 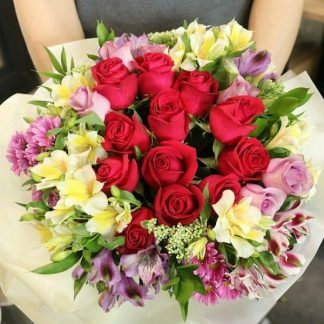 We offer this flower bouquet at the lowest cost possible for this size flower/bouquet. We can offer this bouquet at a lower cost due to the fact that the actual cost of flowers fluctuate daily. 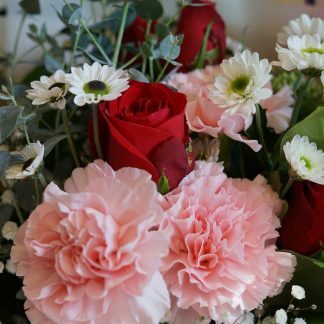 That means, some merchants sometimes offer really good deals on seasonal flowers, so we can find flowers that cost less and still meet our quality requirements. 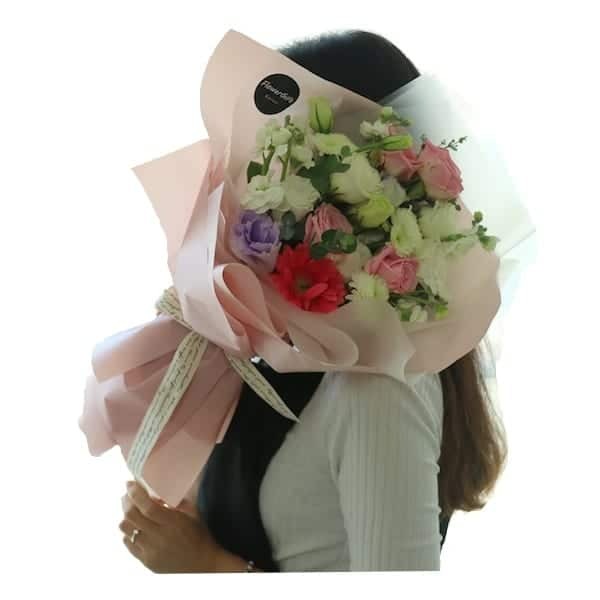 If you choose this flower bouquet, you are trusting that Flower Gift Korea will deliver a high quality flower that may look similar or different than the flowers we have on display. 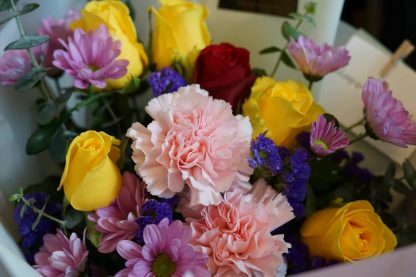 However, we assure you that the quality and size of the final product will be similar to the flower bouquets you see in the image. Just read our reviews to find out more about our quality. 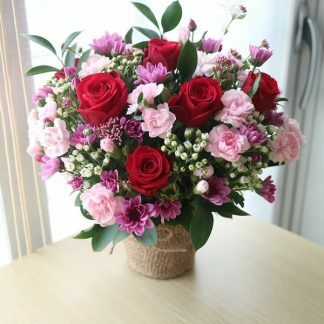 This bouquet is also one of our most popular flower bouquets for Valentine’s day, parents day, Christmas, birthdays and many other occasions. You can request colors and/or flower types or let us know the occasion. We will always do our best to meet your wishes but may not always be able to do so. 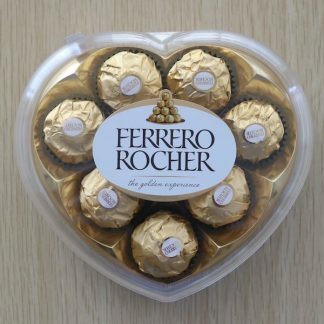 Your flower will include the following. 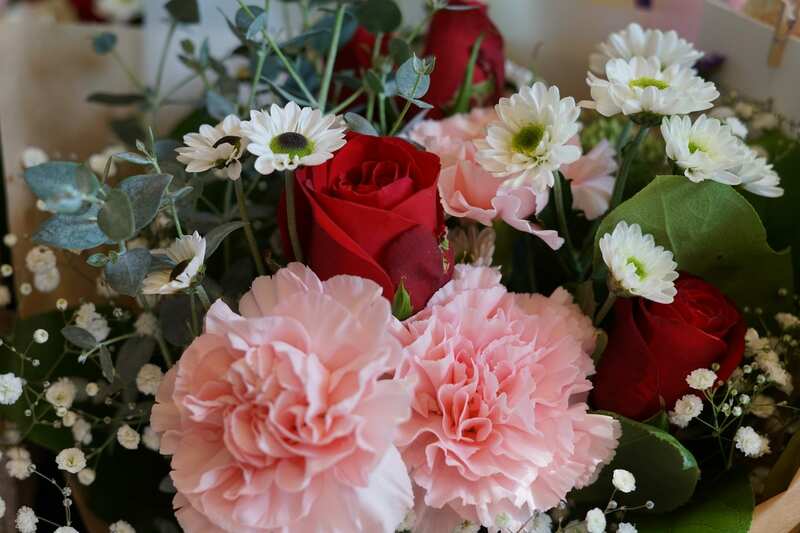 1-2 different colors of main flowers: Carnations, Lilies, Gerberas, Lisianthus or Roses. 2-3 assorted colors of secondary flowers/plants: Alstromeria, Freesia, Carnation Spray Fillers, White Fillers or Green Fillers, or other types. *The flower you receive will look different than the one in the image. 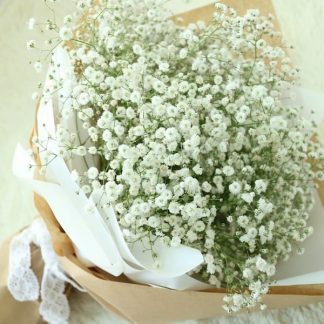 *The flowers used in the bouquet vary day to day.